Canadian Institute of Reading Recovery Reading Recovery is proven to change early literacy outcomes. Reading Recovery was developed in New Zealand, by educator and psychologist, Dame Marie Clay. 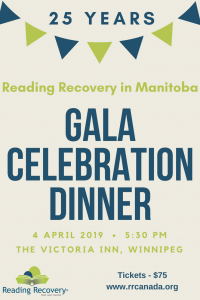 Since 1984, Reading Recovery has also been successfully implemented in several countries around the world including Australia, Canada, the United Kingdom and the United States. It has been available to Canadian children in English since 1993 and beginning in 1998 also in French. The outcomes for children in Reading Recovery are tremendous and reported every year by the CIRR. 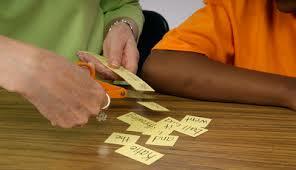 Reading Recovery is not solely concerned with improving students’ reading and writing skills. The term ‘recovery’ implies a clear objective: to have students develop efficient patterns of learning — patterns that enable them, by the end of their Reading Recovery lessons, to work at average grade levels or above and continue to progress within their school’s instructional program. 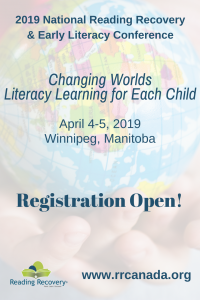 On-going data collection, research, and analysis show that most students maintain these early literacy gains beyond the end of grade three, as long as classroom literacy programming continues. 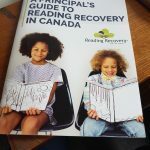 The Canadian Institute of Reading Recovery (CIRR), in cooperation with an independent statistical analyst, collects data on every child included in Reading Recovery or IPLE in Canada on an annual basis. Each child is assessed before entering Reading Recovery, again upon leaving Reading Recovery, and at the end of the school year. This data collection system provides direct accountability for each child’s early literacy progress and provides a record of strengths and continuing needs for each child. CIRR analysis also includes process implementation data to guide intervention decisions. Read more about Reading Recovery data collection. 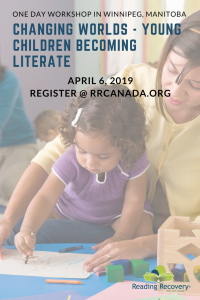 In addition to CIRR analysis of data nationally, Reading Recovery training centers across Canada analyze and publish outcomes. Reporting frequently includes qualitative data about stakeholders’ perspectives on Reading Recovery: parents, classroom teachers, administrators, and Reading Recovery professionals. Research on the comparative effects of Reading Recovery in the areas of reading fluency, reading achievement, alphabetics, and reading comprehension is detailed in the USDE’s What Works Clearinghouse report. The measure of an educational innovation is whether it works in the field and can be adapted into various school systems. The question of using evidence to support decision-making is discussed by Dr Richard Allington in this 2005 article: How Much Evidence is Enough Evidence? Change children’s outcomes with a focus on early literacy by implementing Reading Recovery in your school.